If you bring 135 milliliters of plasma with red blood cells into the system of an athlete, he or she will perform better. 135 milliliters is just a little more than nothing. This amount fits in a small tea cup. Anyone who does not yet realize that blood doping is effective should, for punishment, read and memorize the collected works of Jacob Bejder. Jacob Bejder? Who is that? Jacob Bejder is a Danish sports scientist. He is affiliated with the University of Copenhagen, and will publish an eye-opening study in Medicine & Science in Sports & Exercise. In this study, he treated trained & fit men with blood doping. With a very, er, rudimental form of blood doping. Bejder took 450 milliliters of blood twice from his subjects. He isolated the red blood cells from the blood, and 4 weeks after the removal of the blood he reintroduced part of their red blood cells into the men's blood circulation. To put it exactly: he gave them back half of the blood cells he had received in one of the phlebotomies. This amount was 135 milliliters - not more. Three days before the administration of the red blood cells, Bejder had the men ride a time trial. The men had to cycle as quickly as possible, until they had burnt 650 kilocalories. Two hours after the administration of the blood cells, the men had to do this again. On another occasion, the researchers just pretended to take blood samples from the test subjects. And 4 weeks later they pretended to bring red blood cells back into the bloodstream. That was the placebo condition. The administration of the red blood cells increased the power that the men could develop during the time trial by 5 percent. Simply put, blood doping allowed them to cycle faster. The day after the time trial, the researchers gave the men their remaining red blood cells back [BT] - or they pretended they did [PLA]. Then they had the men do 4 sprints of 30 seconds. The riders were somewhat quicker after the transfusion, but the increase was not statistically significant. Bejder and his colleagues do not know exactly why blood doping has no effect on this form of physical exertion. 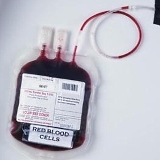 A possible explanation is that the period between the blood collection [phlebotomy] and the administration of the red blood cells [transfusion] was too short for a complete recovery of the amount of red blood cells. The experimental design thus may not fully show blood doping's potential for performance improvement. Med Sci Sports Exerc. 2018 Nov 6. doi: 10.1249/MSS.0000000000001837. [Epub ahead of print]. So far S107 is only found in labs, but sooner or later the benzothiazepines will appear on the market.